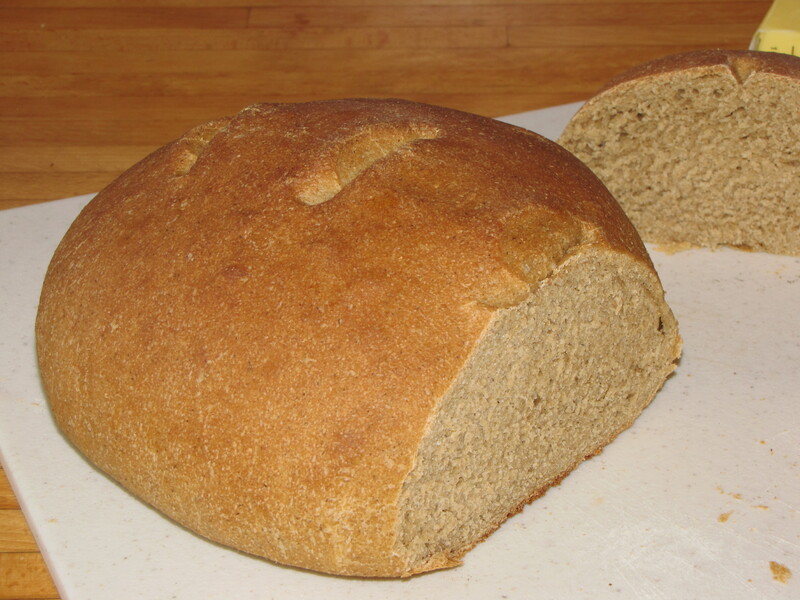 This entry was posted in Feels like home and tagged whole wheat sourdough. Bookmark the permalink. Geez. I was thinking “nap is out of words???!??!?! can’t be! I HAVE A FEW WORDS!! !” then I saw the FOOD PIC!!!!!!!!!111!111!!! Yum. I worked out a nice little biscuit recipe this weekend. They were edible. A mix of rice, potato, and tiny bit of all-purpose flour + egg white + BP. Im quite pleezed wif maiself. Yay for Unicorn biscuits! And pineapple cupcake? Shut your face with that…sounds fabulous. This bread was *awesome*. My own sourdough starter created over a couple of weeks, an all whole wheat recipe, a whirlwind day of kids hanging off me as I kneaded dough…delightful. Made me feel all 1800s-y, but with voting and property rights and bread baking as choice not expectation. And whore-ganic that is probably still rife with creepy chemicals, thank you very much, that I didn’t grow or harvest or thresh or grind myself. So, not really 1800s-y at all. And? KILLED me to leave it wordless. That blog meme of Wordless Wednesdays is *hard*. Which is why most people cheat and title the photo with (you guessed it) words. I’ll be right over with some grassfed butter! YUM! Meg, another loaf goes in tomorrow around 3. Come on over! Yum…Oh does that look good! No words needed! Maria, it was pretty darned tasty for my first try. Except that, honestly, my first try was a no-knead bread that was about 1″ thick and weighed 72 pounds. I resolved after that embarrassment to grow some starter, knead the hell out of the thing, and let it rise for 700 days. Almost. Bread. You make your own bread. Without a machine. Is there anything you don’t do?